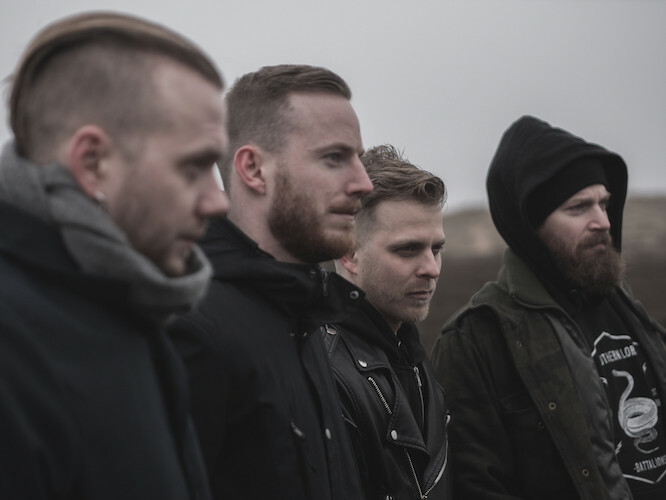 In fairly short order the Swedish sludge/post-metal band Gloson have plowed a massive furrow through the landscape of metal — and not the kind of furrow in which pliable earth has been turned, but more like a deep, jagged track carved through granite. We’ve had the pleasure of watching this happen from the beginning, and done our own small part to spread the word, following them from their eye-opening 2014 debut EP Yearwalker through the release of their stunning first album Grimen in 2017. Along the way we hosted premieres, and chose songs from each of those releases for our lists of the years’ Most Infectious Extreme Metal Songs. 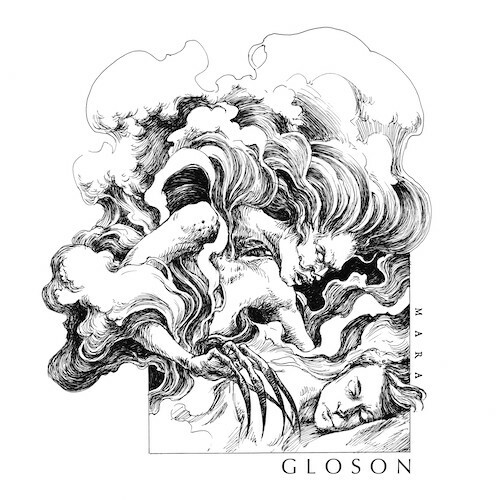 It is thus with great pleasure that today we present the premiere of a video for a song from Gloson’s new EP, Mara, which will be released on April 5th by Black Lion Records. 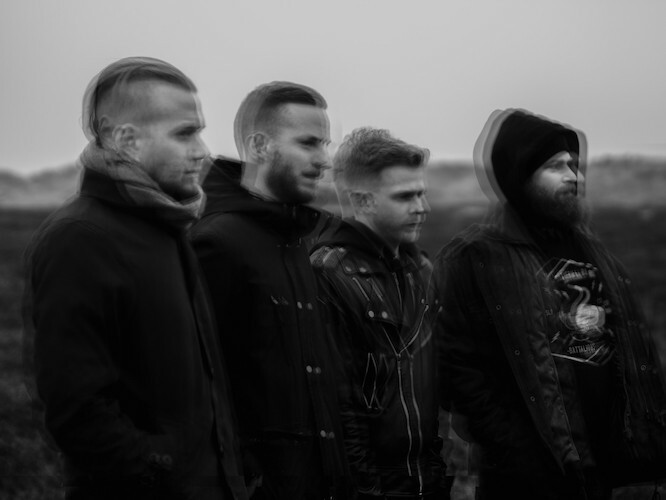 With “Usurper“, Gloson have again created something that’s immediately in contention for our Most Infectious Song list, and, at last, have hit upon visual imagery that’s a match for the prodigious power and unsettling, unearthly atmosphere of their music. I borrowed those words in part because Andy‘s use of the phrase “inescapable gravity” is quite relevant to what you’re about to see and hear in the video for “Usurper“. Like the extraterrestrial locales in the video — the titanic outer planets of our solar system and their barren moons and vast rings — the music is both desolate and fantastical, and gargantuan in its heaviness. The central riff that loops through most of the song is itself titanic, heavy enough to create its own gravity well, heavy enough to send your body into a metronomic lurch. And there is a harsh and barren quality in those sounds — it seems to moan at the same time as it crushes. The punch of the drums, which slug hard enough to bruise your core, amplifies the pulverizing force of that muscular riff, and the fills clatter and clobber with equal power against the inside of the skull. Meanwhile, simmering, shimmering, pulsing leads create an unearthly presence that’s full of tension and peril. They seems to glow, and to boil like the encapsulation of pain. The instrumental music is plenty intense, but made more intense by the vocalist’s wrenching howls, which seem to straddle a line between anguish and fury. Even the distorted spoken words are chilling. The song as a whole is indeed as chilling and hostile as the void between the spheres, and as massive and mystifying as the gas giants that dominate the far reaches of our planetary system. Credit for the video goes to Kristoffer Bruhn and Ogino Design. Mara will be available digitally on Bandcamp, iTunes, and Amazon, and on CD from Gloson’s official store. Pre-order opportunities for all of those can be found via the first link below.